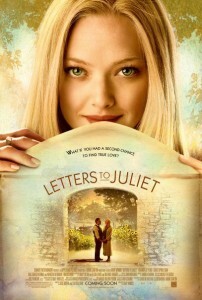 Ashley recently told me about this trailer she had seen for the upcoming movie called Letters to Juliet. I think it looks great! I’ll definitely be there in April. What do you think? Does it look like a winner? What movies are you looking forward to seeing this spring?